Dara's lived a sheltered life with her single mom, Mellie. Now, at eighteen, she's dreaming of more. When Dara digs up her never-before-seen birth certificate, her world implodes. Why are two strangers listed as her parents?Dara confronts her mother, and is stunned by what she learns: Mellie is transgender. The unfamiliar name listed under "father"? That's Mellie. She transitioned when Dara was a baby, after Dara's birth mother died. She changed her name, started over.But Dara still has more questions than answers. Reeling, she sets off on an impromptu road trip with her best guy friend, Sam, in tow. She is determined to find the extended family she's never even met. 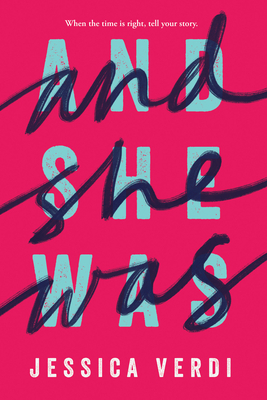 What she does discover -- and what her mother reveals, piece by piece, over emails -- will challenge and change Dara more than she can imagine.This is a gorgeous, timely, and essential novel about the importance of being our true selves. The back matter includes an author's note and resources for readers. Jessica Verdi is the author of My Life After Now, The Summer I Wasn't Me, and What You Left Behind. She is a graduate of The New School's MFA in Writing for Children program and lives in New York. You can find her online at jessicaverdi.com.